Tokens. A blog by Artist David Wills. : Good Art #32. Underground Fantasy. Good Art #32. Underground Fantasy. All eyes are on Mark Rothko, the blockbuster exhibition currently showing at the Gemeente Museum in Den Haag. While many visitors appeared to be wooed by his colour canvasses, I found myself yawning and far more interested in his early figurative paintings, for example, Underground Fantasy (pictured). 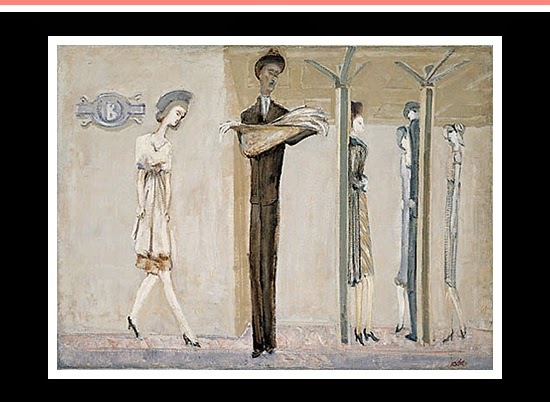 Image: Underground Fantasy [Subway], c. 1940, National Gallery of Art, Gift of The Mark Rothko Foundation, Inc., 1986.43.130.